I love interacting with local people to know their culture and history when I travel the world. 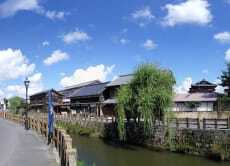 And I also want to provide the same kind of experience to other travelers when they visit Japan. My tour focuses on showing lots of hidden cultural and historical places that tourists cannot find without people who know well about the local area. Join my tour if you want to experience an authentic side of Japan!